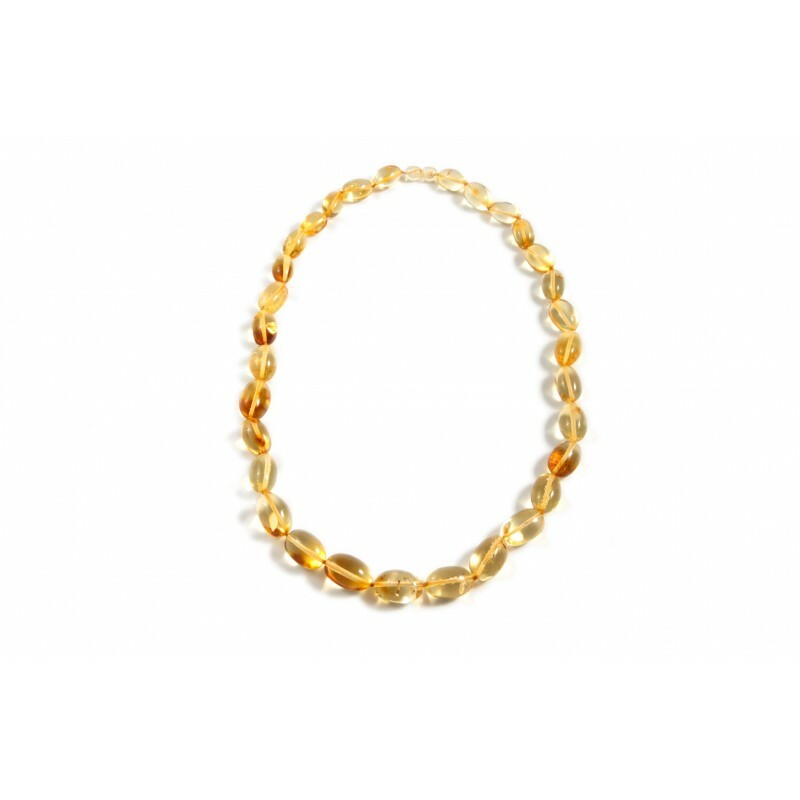 A transparent lemon-color amber necklace made of oval amber pieces. 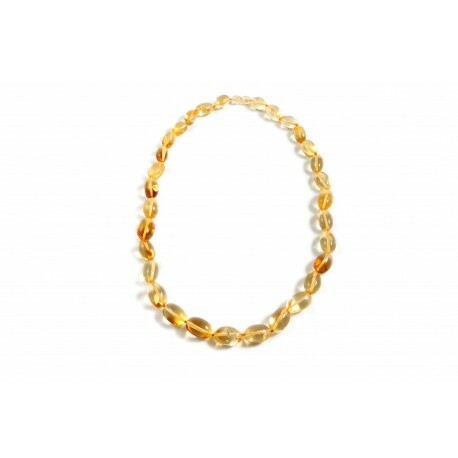 Medium length and coarse smoothly polished Baltic amber beads. It is a perfect choice for both a celebration and everyday use.